The January 3 Indian Express article “Paradox in the Valley,” co-authored by two young intellectually empowered Harvardians from Kashmir, was the opening act of what happened a little more than a week after it appeared. Ever since, Dr Shah Faesal’s resignation from the coveted civil services in the second week of the New Year has drawn a mixed response from across the larger political spectrum of the state and mainland India. His sacrifice, as it is often referred to, should have been welcomed with open hearts by those who represent the sentiment of peace and free political space in the state. Yet, regardless of all this, there has been a steadily increasing sense of incredulity in the face of all that has unfolded ever since. The uproar hasn’t been against the resignation itself but the style and substance of his “defiance” after the act. This merits debate by civil society as well as serious reflection from his side. The brushing aside of genuine apprehensions as paranoia by those closely entwined with him and part of a flamboyant social media campaign focusing on his “heroism”would be sheer injustice to the skeptics and perhaps even dangerous to his prospective political innings ahead. 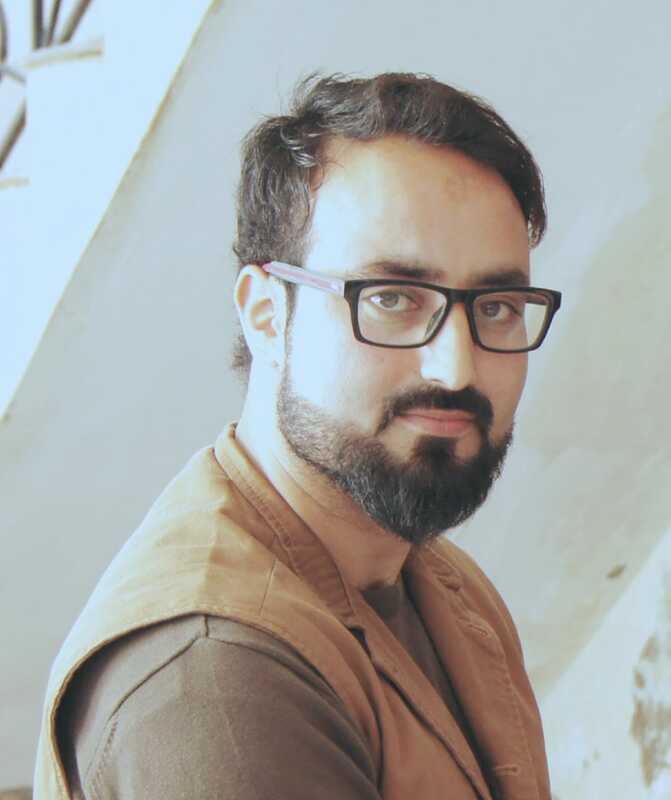 The disillusionment started after Mehboob Makhdoomi, co-author of the Indian Express piece, had termed Shah Faesal’s resignation as “preposterous” in one of his facebook posts. This cynicism was neither out of the blue nor was it a premature judgement. It responded to the myriad of reactions from people who began thinking of all the body bags containing those who had acted in genuine defiance against the system which, despite his initial protest against it, he had reaffirmed faith in not long after his initial statements to the contrary. Clearly in his case, it has been only from the system to the system. It is akin to the Italian Marxist philosopher Antonio Gramsci`s division of intellectuals into traditional and organic groups, where the latter uses the former to organize interests, gain more power, and get more control. Applying this analogy, Shah Faesal’s defiance is nothing but a transition from a traditional intellectual, or administrator in his case, to an organic one for gaining more power within the system. His act of defiance against the prevailing jingoistic nationalism is contradicted by his own intellectual belligerence which aims at legitimizing the politics of the state and ‘within’ the system politics. It is actually nothing different from his earlier ode to collaboration titled “Wait until Azadi Comes.” The clever mixing of populist words with a new vision of governance is designed to dilute the larger political aspirations of the people of the state, and would further endanger the custodians of sentiment, as he calls them, in times to come. Shah Faesal’s defiance is nothing but a transition from a traditional intellectual, or administrator in his case, to an organic one for gaining more power within the system. There really are no other nuances to be deconstructed than the explicitly contradictory statements following his resignation. By disowning the much hyped civil services himself while at the same time urging others to consider it as a career choice, his own intellectual paradox gets exposed. Both his sudden vision of a peaceful Jammu and Kashmir state and his promise to demand the right conditions for it in the Indian parliamentary space are fundamentally flawed and a complete denial of realties. His resignation from civil service and his aspiring to gain political power instead need to be viewed in the context of the upcoming elections in the Valley. There is a direct link between the two and really nothing but the well-timed acrobatics of all the other opportunists who have joined the fray. Without any doubt, the year 2016 was a watershed moment in the resistance movement of Jammu and Kashmir. After long, the battered and bruised Kashmiris seem to be unanimous in their rejection of a bogus electoral franchise in valley. The complete rejection of electoral politics is neither designed elsewhere nor temporarily motivated to achieve short-term goals. It is a spontaneous act of resistance against the state machinery and the unabated killings it brings with it. People have finally understood the serious repercussions of the electoral exercise and the way it is marketed by India across the globe to legitimize the occupation. Shah Faisal cannot be so naïve not to understand this. His resignation from civil service and his aspiring to gain political power instead need to be viewed in the context of the upcoming elections in the Valley. If truly concerned about the sentiment of the people, why would he exchange a global audience and an emerging new perspective for that of a local constituency? Why would he want to be on the wrong side of the history of our resistance by helping undo all the good that has been done to consolidate its resolve over the last three years? Nations like Norway are now expressing their willingness to mediate. The UNHRC report about Kashmir has sent shivers down the spine of those in India who have been advocating status quo but are now fearing more attention bring paid to the brutal occupation he is considering strengthening albeit with different words. Shah Faesal’s intervention in its current form would aim to undo all that was achieved these years through the sacrifices of young men and women, children and the old, instilling new life and faith into a people’s movement of resistance and a noble cause. No ivory-towered intellectualism should or could repudiate the blood of our martyrs. Here is wishing him all the best for his future and hoping he will consider becoming part of thereal people’s movement for change and not the system that aims to eliminate it! 3 Responses to "Shah Faesal’s defiance is nothing, but a transition to gain more power within the system"
Shah faesal has his choice to contest elections, but the point is whether he legitimate or defiance,because locals have full of pessimistic ideals of jk politicians.we are at the worst and circumstances are going from bad to worse. Every body is looking him/her self, rest the public is dying. Do good and find the better solutions to resolve the jk issue. If he is ‘a man frm the system’,he is nt befooling the masses, he says it openly. Unlike Assistant professors who r drawing hefty salaries from the ‘Coloniser Govt’ and lecturing people about Jihad ,& censuring the same Govt to whom the owe their loyalty. It is ua dichotomy dt prompts u to write sch a stuff & moral-lecturing Shah Faesal sahab to shun his hypocrisy ,where his aim ,if it wd hv been ‘acquiring more power’,he wouldnt hv chosen an uncertain path of electoral politics where there z bleakness round the corner& whch dznt pay dividends esp for novices lyk Dr sahab. His Path is clear,& his conscience is pure ; unlyk sm of oua intellectuals who pee on the same platter on which they eat!